Unlabelled This one is a must read guys! Former MTV Base staff narrates how R & B singer BankyW rescue her some years back. This one is a must read guys! Former MTV Base staff narrates how R & B singer BankyW rescue her some years back. 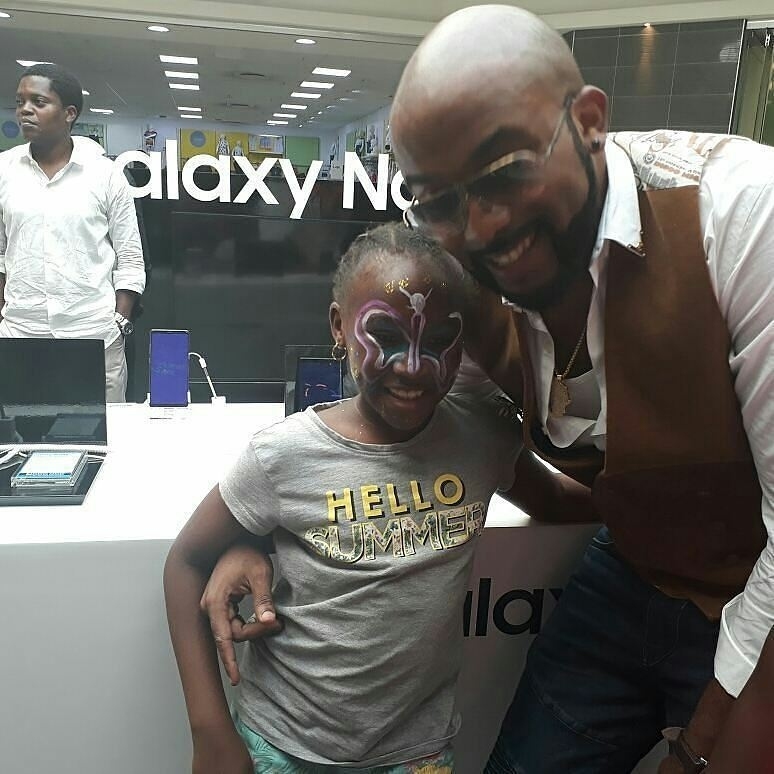 how singer Banky W, came to her rescue years back. So today this happened. On the surface it might look like an ordinary celebrity / child-of-starstruck-parent photo opp but there is a deeper story here. About 8 years ago, while about 6 months pregnant with this little girl here, I fell onto terribly hard times. I have chronicled most of it on my social media platforms but to summarise it, I was abandoned by my child's father, lost my house, was kicked out unceremoniously from my job at MTV for no reason, and to crown it all, diagnosed HIV positive. Shortly after that, my then best friend, with whom I was staying, decided she had had enough so I was given an eviction notice. Long story short, I began to reach out to my friends and acquaintances to try to pick up the pieces, get a place to stay, deliver safely and move on. Suffice it to say that practically none of my celebrity 'friends' ever came through. These were people who would call me non-stop when I was in MTV but suddenly, I was invisible. The only people that did were this man, @bankywellington, and @funlolafar. (Funlola I don't consider a friend but a sister, or worst case my cousin anyway) What was funny is that both of them had no knowledge of the situation I was in. I think this will be the first time Banky will be hearing of it. I just told him I was trying to raise money for a place, I think. In those days @bankywellington had not even come close to being as successful as he is now. Yet the next morning, before 7am, he had driven from his place in Lekki, to my house in Magodo with cash for me. And as usual, a hug. 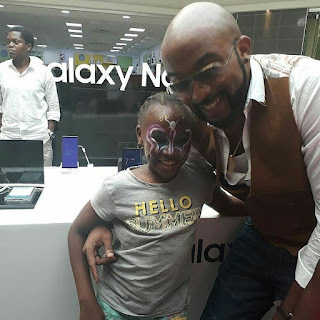 Today at ICM which I took my daughter to entirely by coincidence, I ran into him doimg alt=''How Banky W came to my aid 8years ago when I lost my job, got abandoned by my child's father and diagnosed with HIV' - woman shares touching story' class='img-responsive text-center' style='margin: auto;' his ambassador duties at the Samsung stand. This would be the first time he would see my daughter ever. I had no intentions of her taking pics with him but he just grabbed her and asked 'where's your camera'? Then he bagan to tell her how he and I go way back. It was all I could do not to cry a little. As we left, my daughter asked "Is he a famous person"? I said "Yes. But more importantly, he is a good person."